For me, a big part of a smartphone being “smart” is about automation – my phone should know when to switch Wi-Fi on and off on its own; it should be smart enough to be silent when I want it to be silent, and to ring at other times. Generally, it should just do what I want it to do without me having to remember to fiddle with settings throughout the day. There are a few ways to accomplish that. First and foremost, Tasker Tasker For Android: A Mobile App That Caters to Your Every Whim Tasker For Android: A Mobile App That Caters to Your Every Whim When it comes to device automation, there's just one 900-lb gorilla in the Android space, and that's Tasker. True, Llama is an awesome free automation app, but it doesn't aim for Tasker's full power. Tasker... Read More , which is amazingly powerful and can do anything from disabling GPS How To Turn Off GPS In Private Places Using Tasker [Android] How To Turn Off GPS In Private Places Using Tasker [Android] With the plethora of amazing gadgets people own these days, it's really easy to overlook privacy concerns which, upon reflection, are quite obvious. One of the simplest of these is geotagging photos. While it's an... Read More when you’re in private locations to blocking calls How To Block Unwanted Calls On Your Android Phone How To Block Unwanted Calls On Your Android Phone With my ancient Nokia, when people were calling and bugging me, I couldn’t do much about it. The phone would ring, I would glance at the caller ID and silence it. If it was someone... Read More . 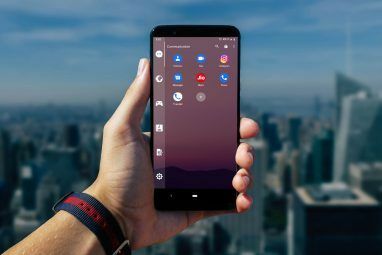 There’s also Llama Use Llama To Automate Your Android Phone With Location Profiles & More Use Llama To Automate Your Android Phone With Location Profiles & More On a scale of one to ten, how smart is your smartphone? It may be smart enough to handle email, or help you navigate unfamiliar urban landscapes. But is it smart enough to turn off... Read More , specializing in location-based profiles. But what if you want very exact locations, such as doing one thing when your phone is on the bedside table, and another thing when it’s on the kitchen table? GPS or Wi-Fi location won’t help you there. For that, you’d want something like NFC Task Launcher. NFC Task Launcher lets you run Waze as soon as you sit down in your car; it lets you start a playlist as soon as you go on your elliptical or spinning bicycle; launch a dictionary app or dictionary website as soon as you touch the phone to a book; the possibilities are limited only by your imagination, and how many stickers you have. NFC, or near field communication, lets two devices communicate at close range. One of these “devices” can be a completely passive, inexpensive sticker, stuck onto anything you want your phone to recognize. We’ve previously explained what NFC is What Is NFC & Should You Buy a Phone That Has It? [MakeUseOf Explains] What Is NFC & Should You Buy a Phone That Has It? 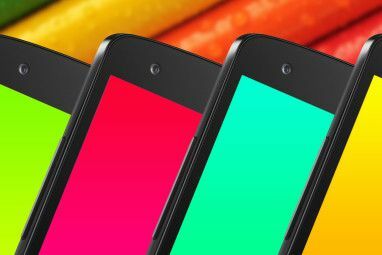 [MakeUseOf Explains] If you’re in the market for a new phone in 2013, you’re probably going to hear about something called NFC, and how it’s apparently changing the world. Don’t be fooled by the sales talk though.... Read More and whether you should buy a phone that has it, and have shown you five possible uses What Is NFC & Should You Buy a Phone That Has It? [MakeUseOf Explains] What Is NFC & Should You Buy a Phone That Has It? 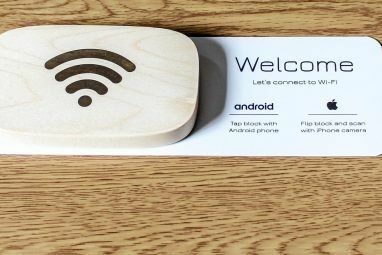 [MakeUseOf Explains] If you’re in the market for a new phone in 2013, you’re probably going to hear about something called NFC, and how it’s apparently changing the world. Don’t be fooled by the sales talk though.... Read More for it. If you have a general interest in NFC, those are great posts to read. But if you already own an NFC-enabled phone, such as the Galaxy S III, and want to put your NFC chip to good use, you’ve come to the right place. On a more practical level, to use NFC, your phone has to be on and unlocked by default. If you’re not happy with that, there are mods around that let you read NFC tags even with the screen off and the phone locked, but they obviously present some security and battery use concerns. Really small, and the adhesive is good. They work. The only caveat here is that they are not easily removable – you might want to try holding them in place with some adhesive tape for a few days as a trial run, before removing the backing and placing the sticker itself in its final location once you see it actually works for you. These are great starting points – before you go on to create a completely original task, check them out. You can modify them as needed. So, touch the phone to your desk every morning to switch to “work mode,” and touch it again in the afternoon to switch to “going home mode.” Useful especially if you commute on public transit and don’t have a car to put your NFC label in. 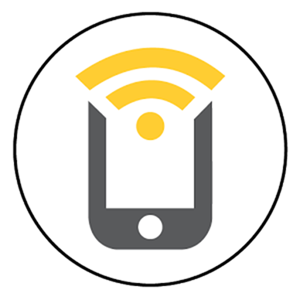 Once you’re ready to save your task, tap Save & Write and touch the phone to the NFC label. The phone will actually write the actions onto the label. This is very cool, because it means other people could theoretically use the same label and have it do the same operations – or, in my case, it let me use the label after installing a different ROM and not having my task saved on the phone. However, since there’s only so much you can write to a label, this does restrict a task’s potential complexity. In daily use, this restriction wasn’t an issue, at least for me. I’m not a big fan of such bragging, because it’s usually wrong – how can it possibly know it saved me 13 minutes? Maybe I have quick-toggles for all of these operations? Still, the raw count of the number of actions performed (158, for me) is a nice number to have. NFC Task Launcher is a modern-looking Holo-themed app, and it makes the relatively complex task of programming and using NFC tags into a simple, friendly one. It is innovative and solid enough to merit a spot on our list of Best Android Apps. If you were thinking of using NFC but weren’t sure which app to go with, give it a try – you won’t regret it. Also, I’d love to hear in the comments about what sort of interesting NFC scenarios you come up with. What do you use NFC for? Explore more about: Android Launcher, NFC. Does this work with Apple phones. Living smart, fast and efficient in our modern day society. Wow, this is really smart! It looks good, and I might give it a shot. It's an interesting automation way. I never thought of using NFC like this. Thanks.